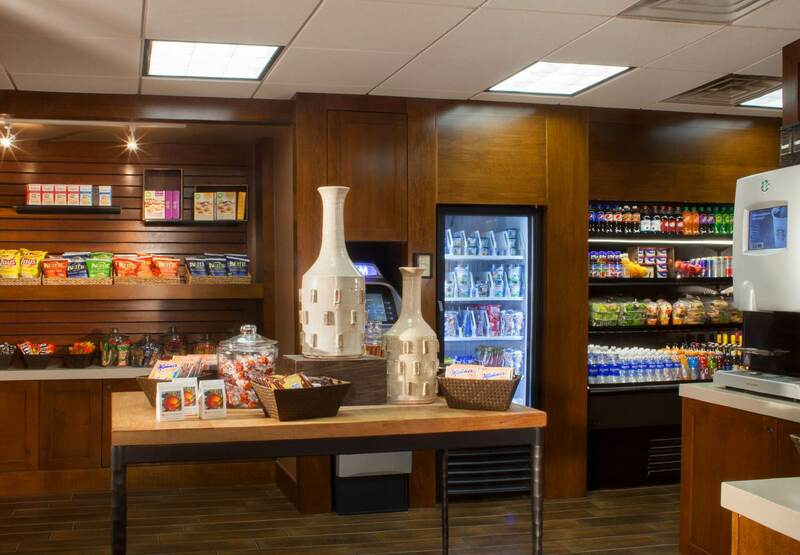 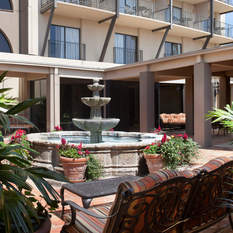 You’ll remember much more than The Alamo when enjoying the well-appointed amenities at Marriott Plaza San Antonio. 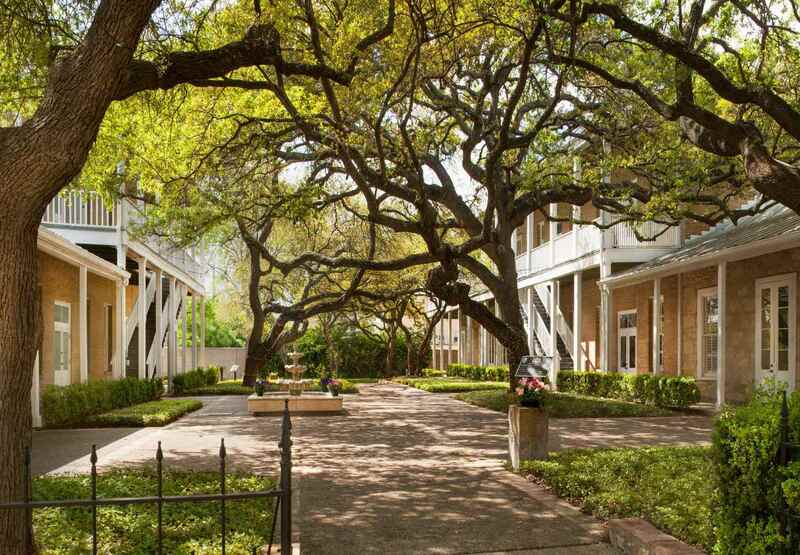 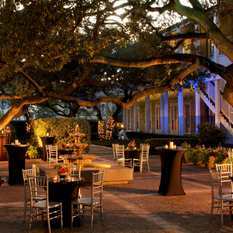 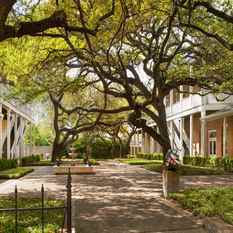 Sitting on 6 acres of natural, lush Texas landscape, our hotel boasts plenty of shade from cypress and palm trees for a casual stroll. 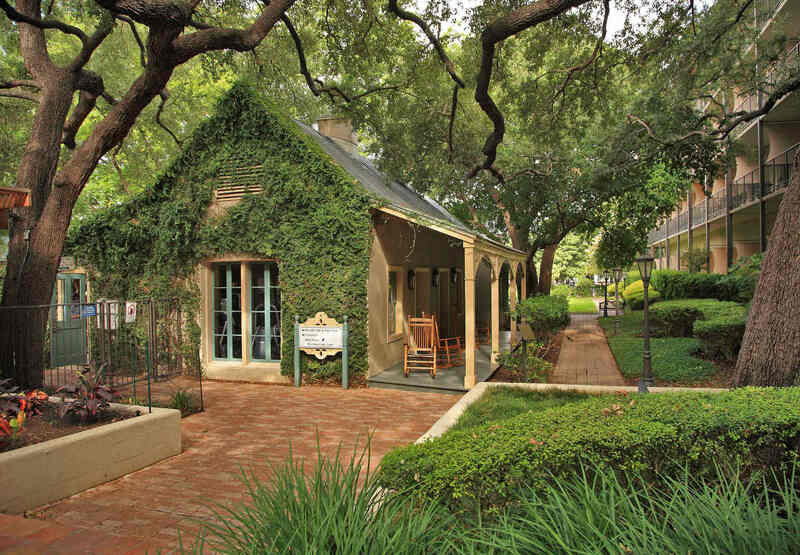 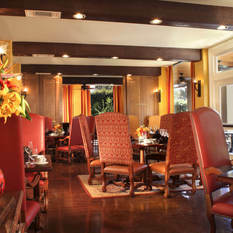 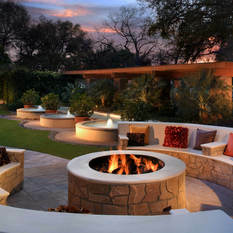 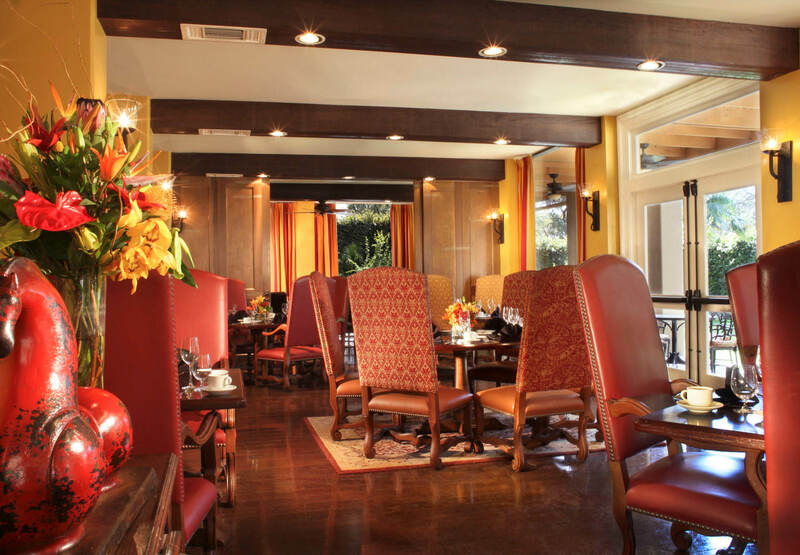 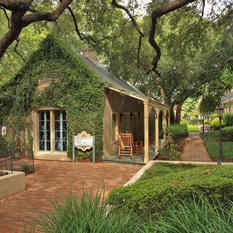 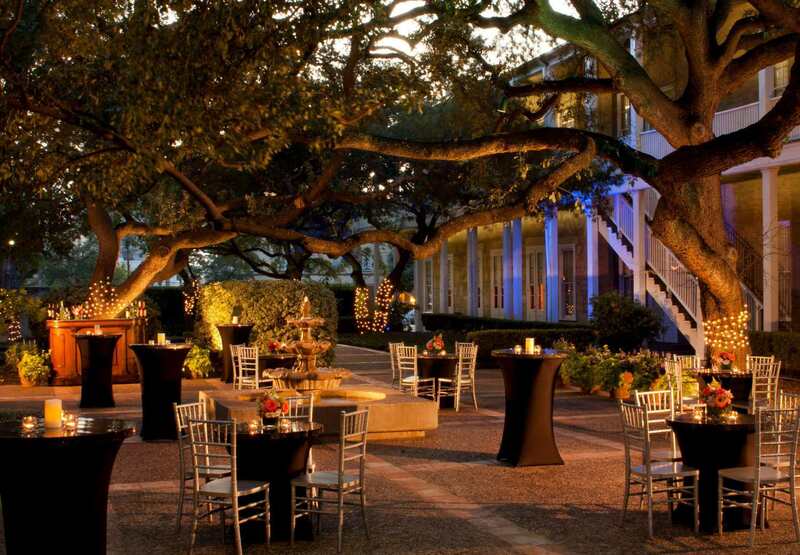 Dine at Anaqua Restaurant & Grille, overlooking our courtyard with Asian pheasants and colorful peacocks. 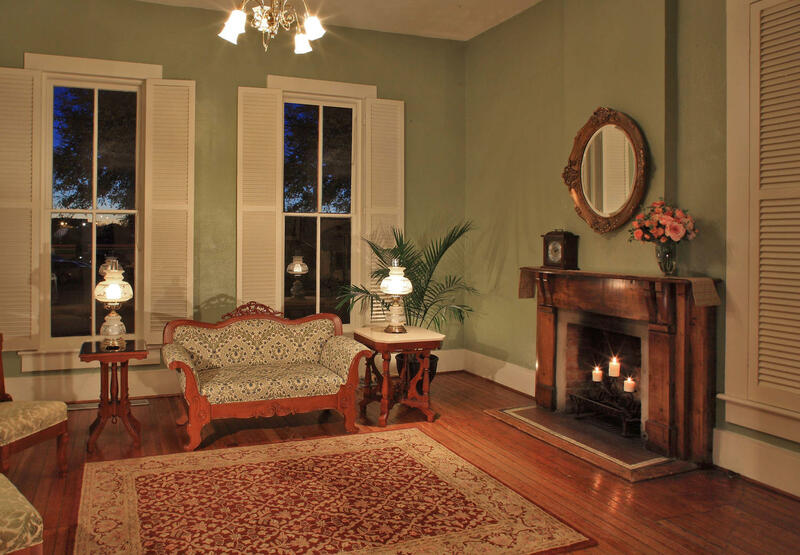 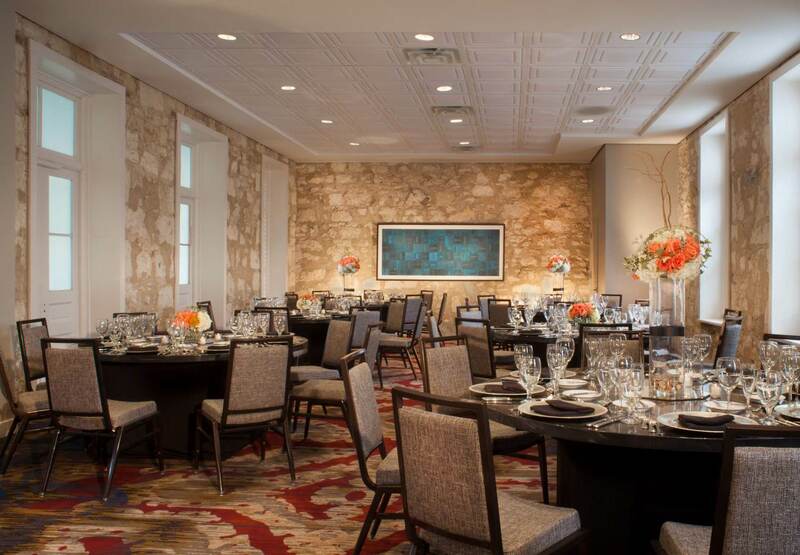 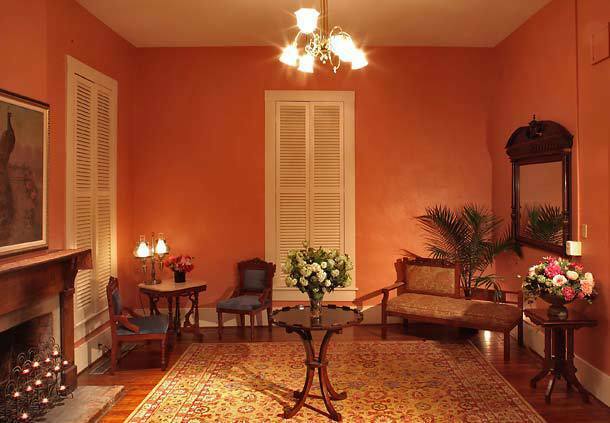 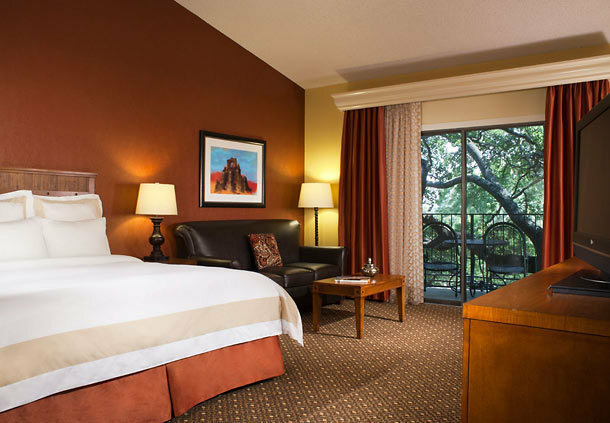 Just 2 blocks from the famous River Walk, our hotel offers guests convenient access to the “Cradle of Texas Liberty.” La Villita Historic Art Village, Hemisfair Park and Tower of Americas are also nearby. 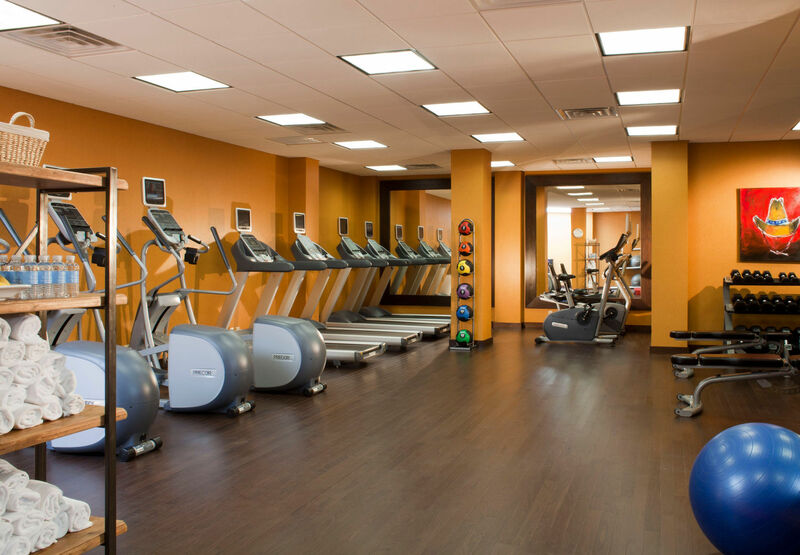 Shopping at Rivercenter Mall is convenient in downtime. 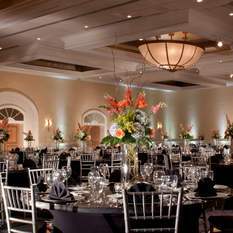 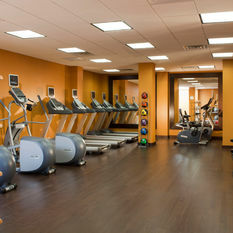 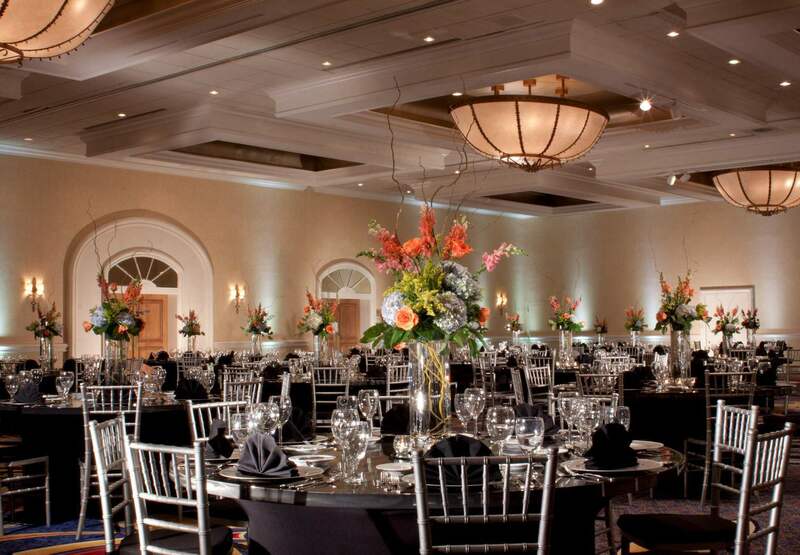 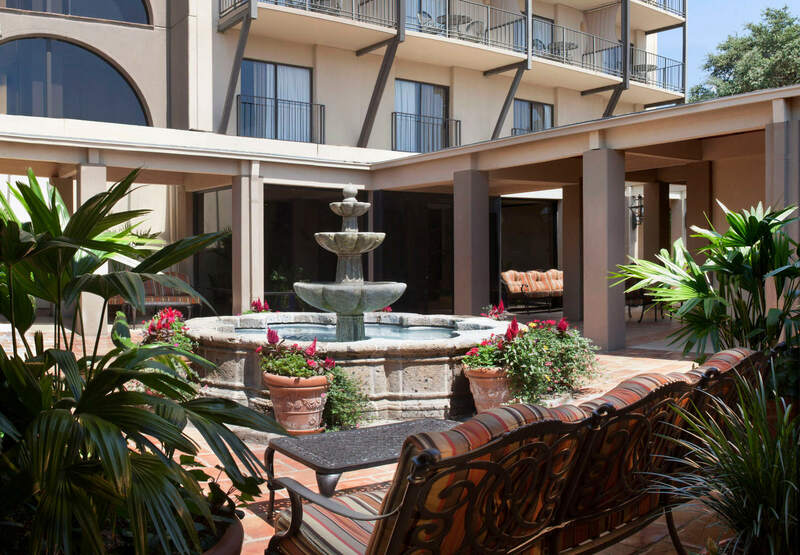 Visitors will enjoy everything our hotel offers, including well-appointed guest rooms, a quiet landscaped pool, 17,000 square feet of event space, a state-of-the-art fitness center and close proximity to the Henry B. Gonzales Convention Center. 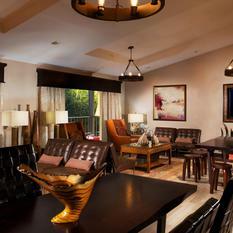 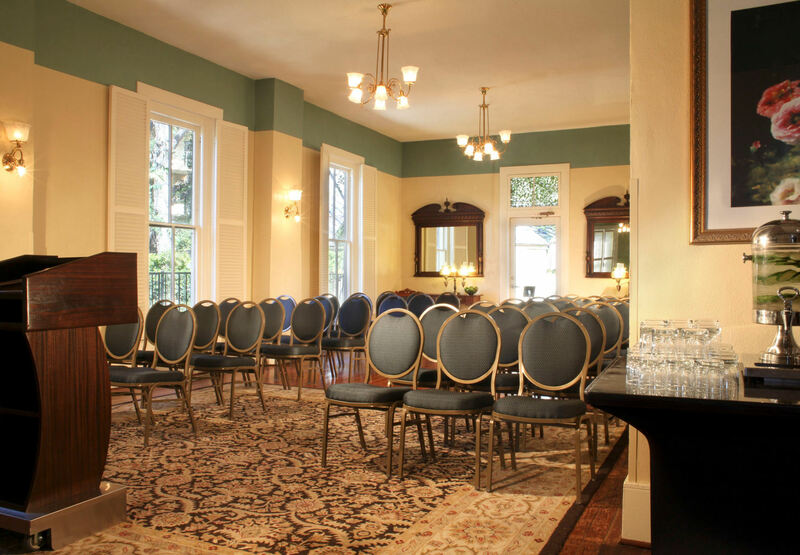 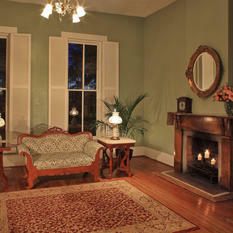 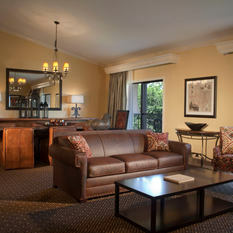 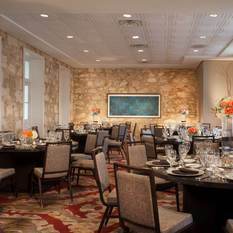 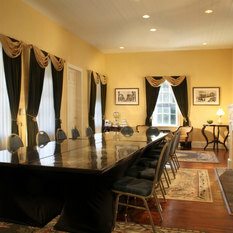 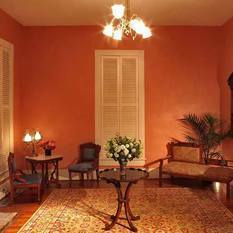 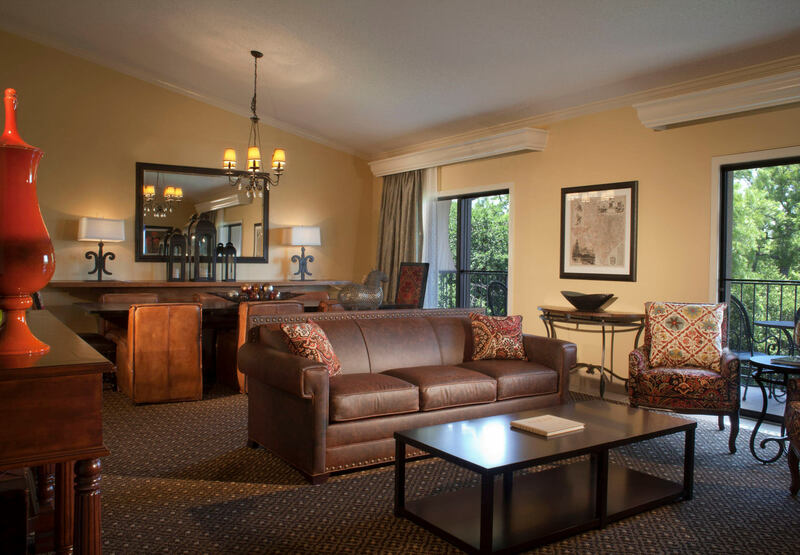 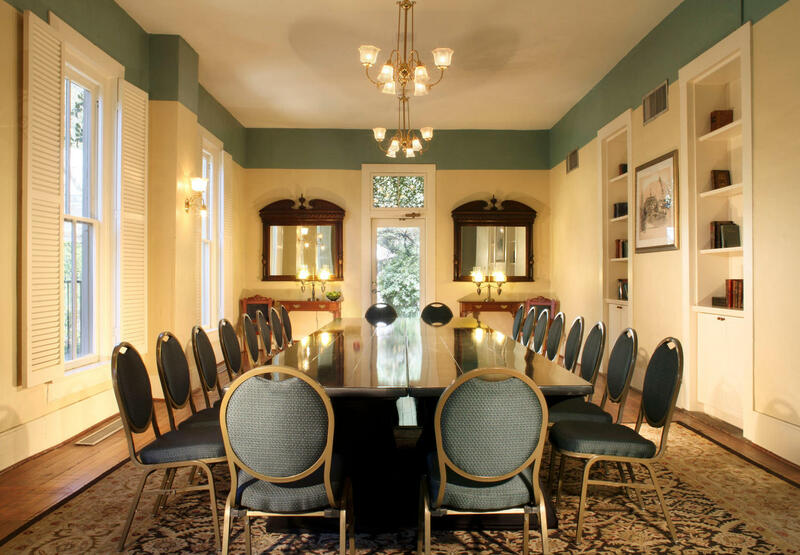 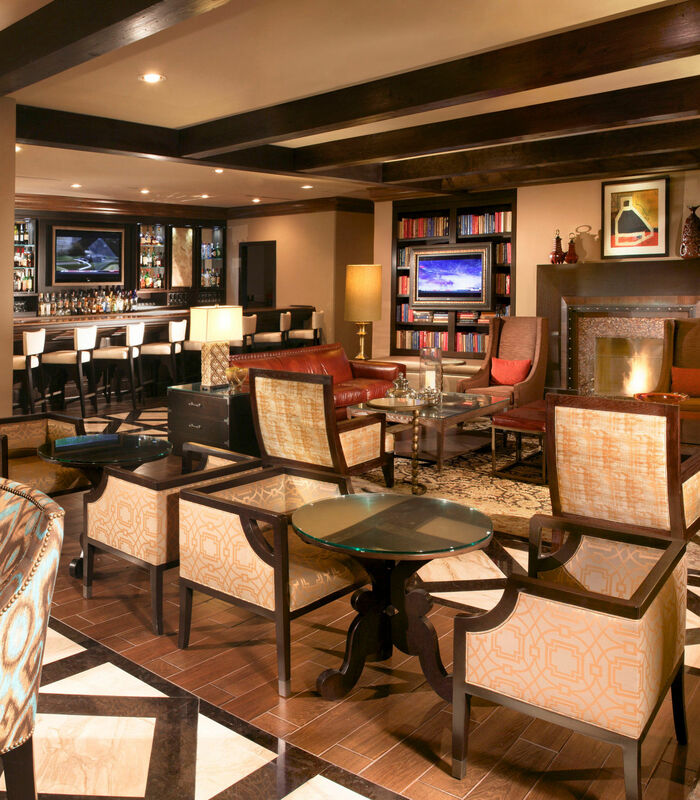 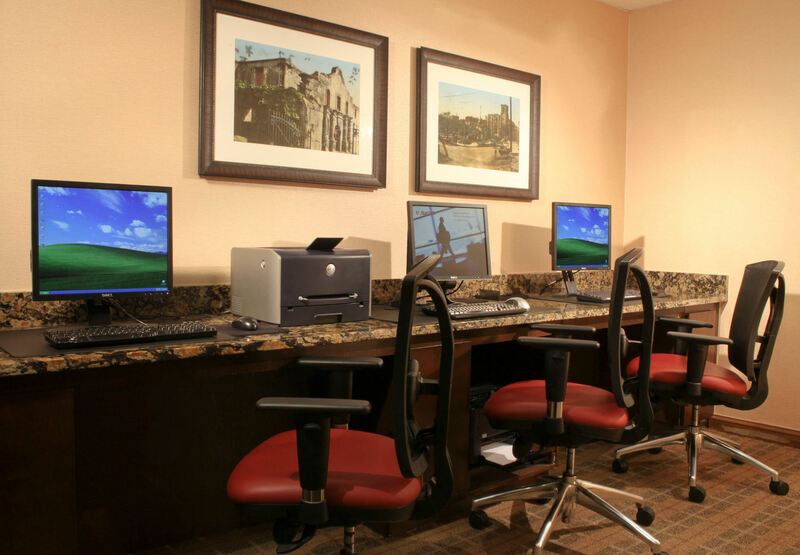 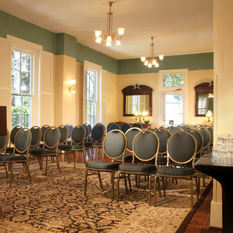 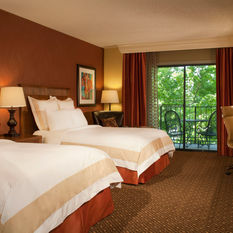 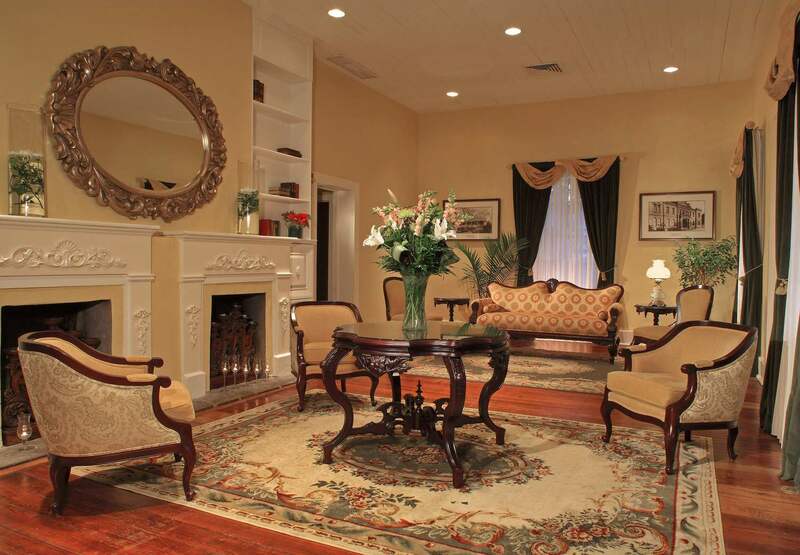 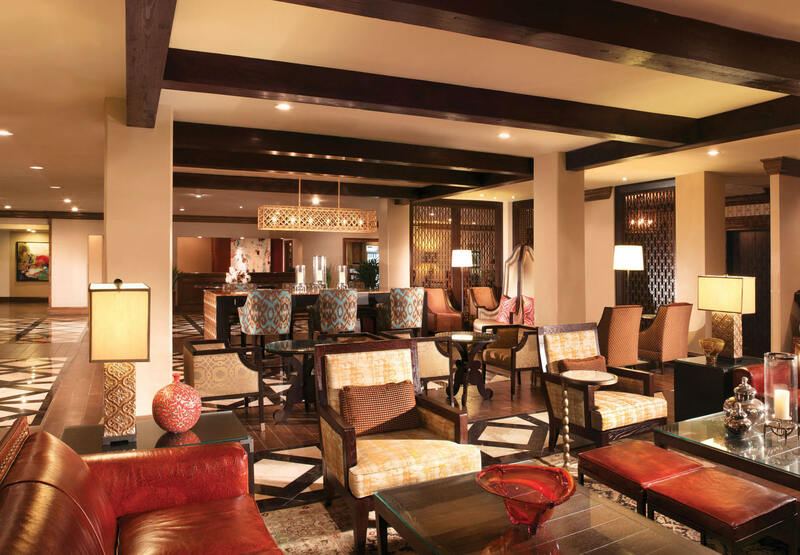 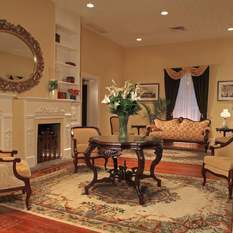 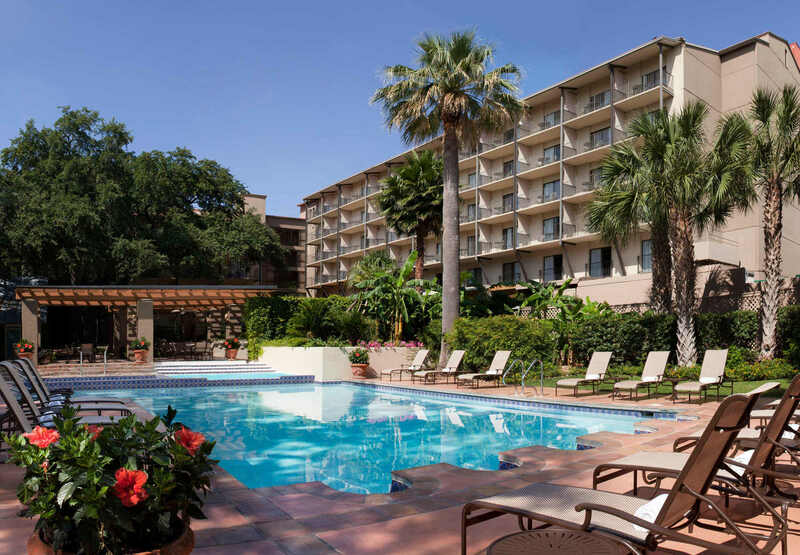 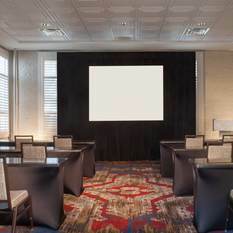 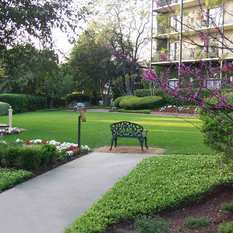 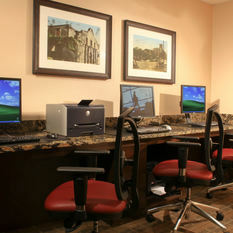 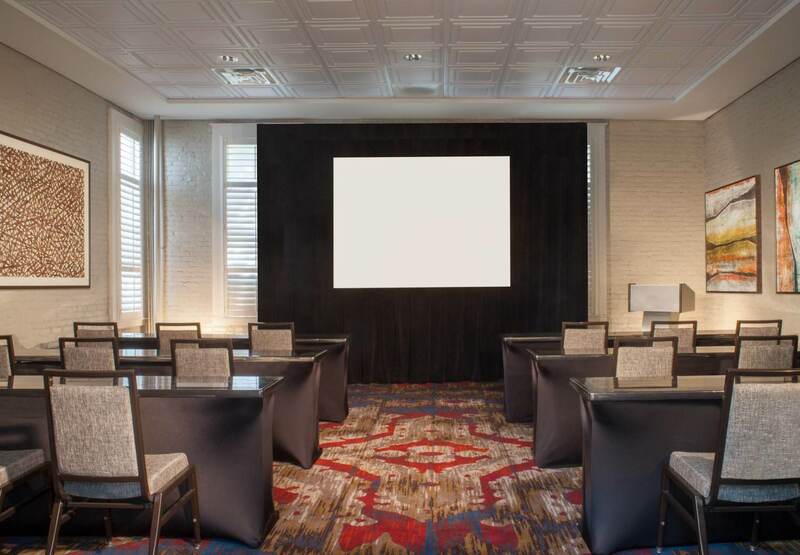 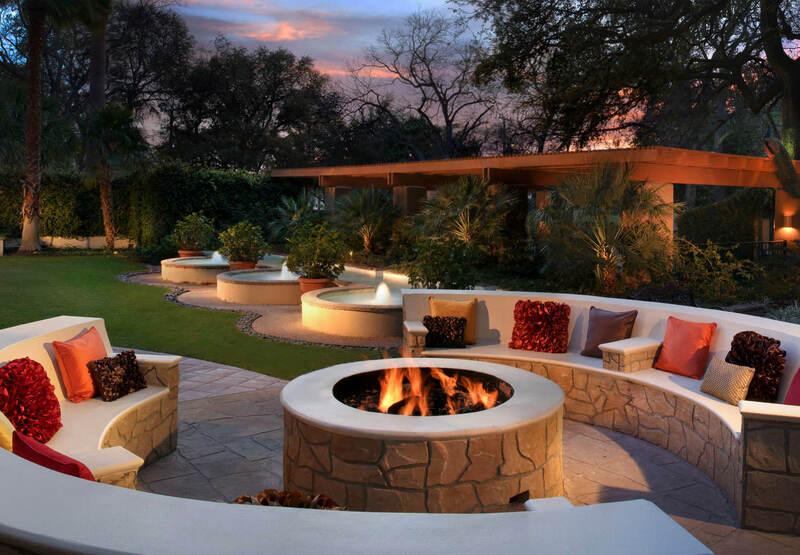 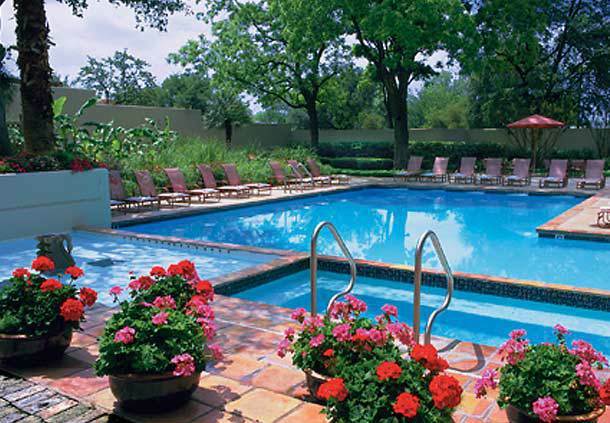 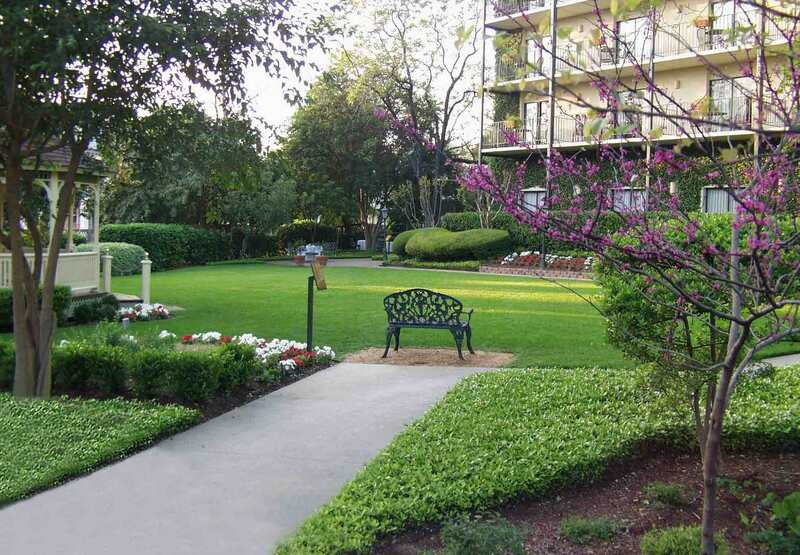 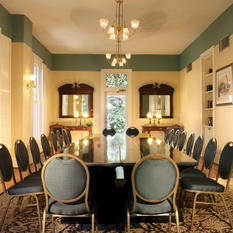 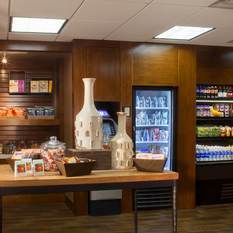 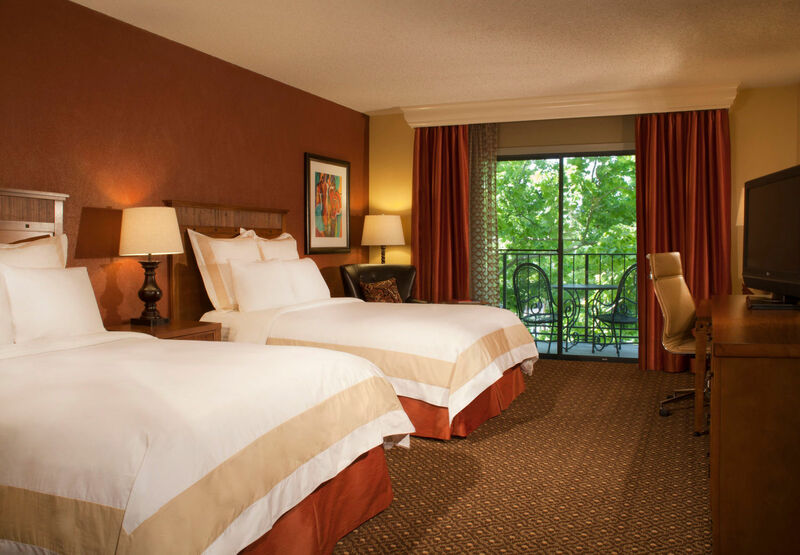 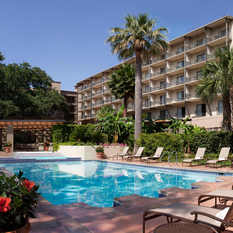 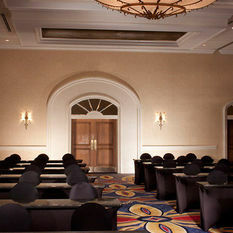 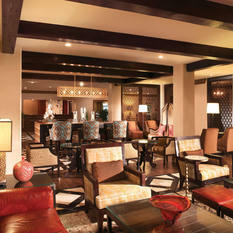 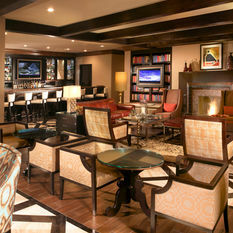 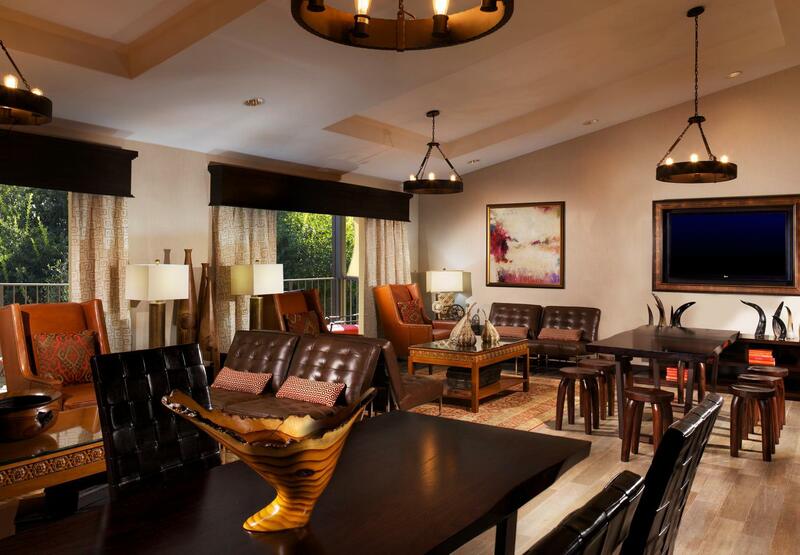 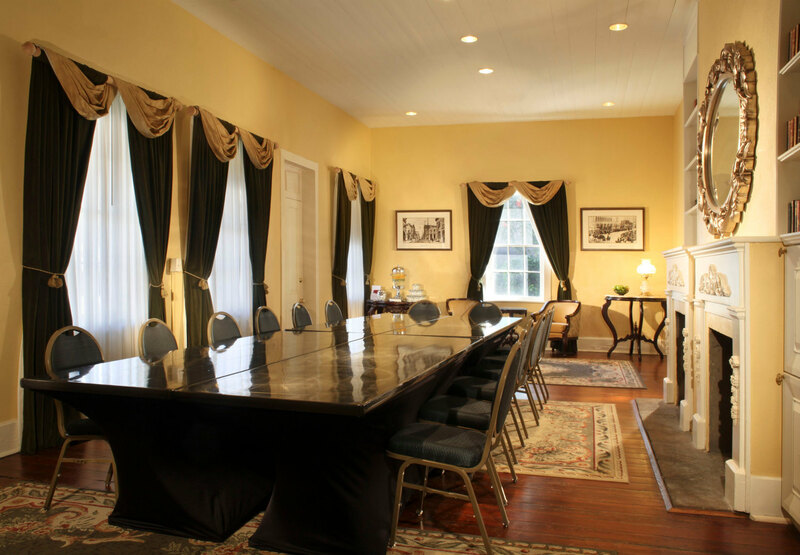 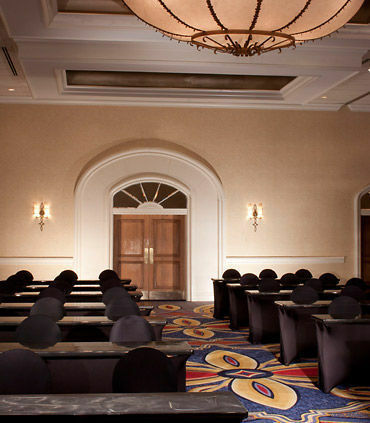 Our hotel in San Antonio, TX showcases the ideal accommodations for business and leisure travelers alike. 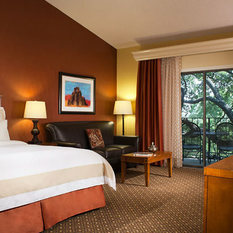 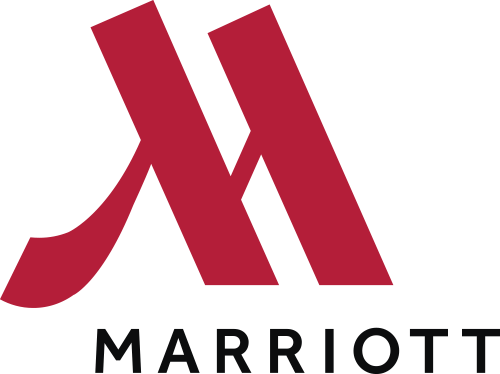 Book a stay at Marriott Plaza San Antonio now.